We have so much going on it is really impossible to mention everything in even one or two Newsletters. 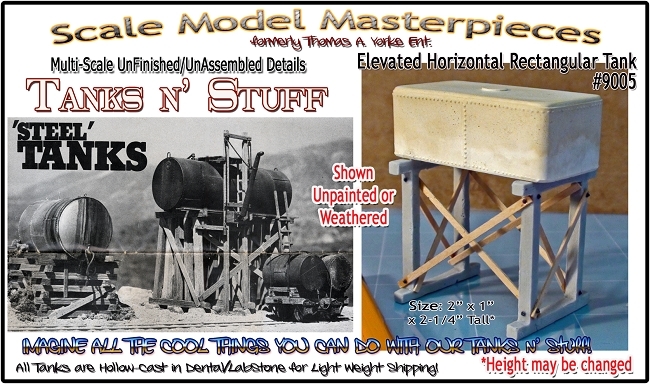 Just in the Doctor Ben's and Scale Model Masterpieces Categories there are so 700 products in five scales and not all of them are listed yet!. Already we are working on some new and some *familiar* products coming out later this year. A little great news that we received a huge amount of "advise" in regards to choices of video editing software for uploading videos to you tube and our website. The learning curve isn't too steep so long as I don't try to get too fancy ... K.I.S.S. (Keep It Simple Silly) is my motto for now.I really do have a lot more things to be doing, but I can't be in two places at the same time unless the Quantum Physics Scientists can prove the theory of one person being at two places at the same time ... way to much science channel! 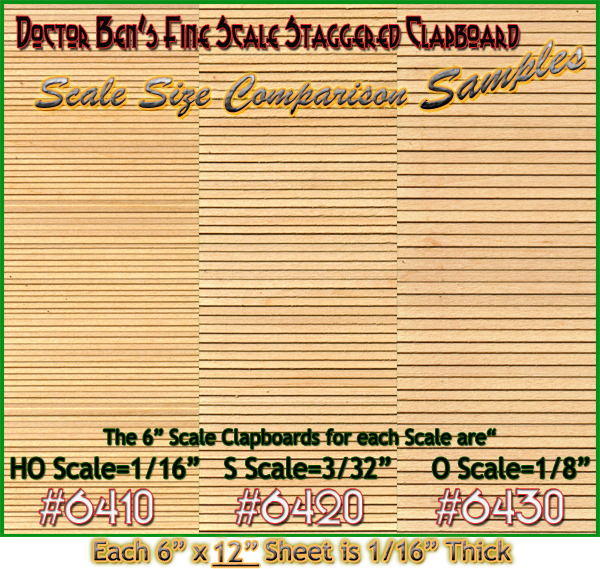 In case you not yet seen it, the Doctor Ben’s Scale Consortium Product Flyer 2019 is available and typically included in all the orders that we ship out every single day. Something new we are offering in 2019 is the opportunity for Customers to both download and print the 2019 Product Flyer in both pdf & jpg format. 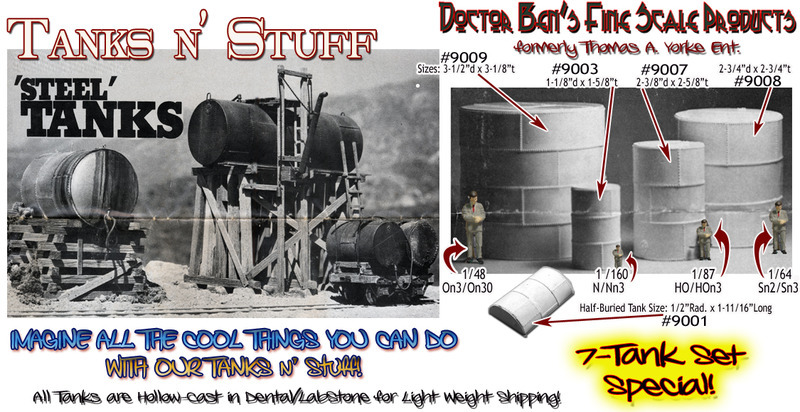 CLICK on the image at right to go to our website and find out about the plethora of Doctor Ben's products that we ship work wide! 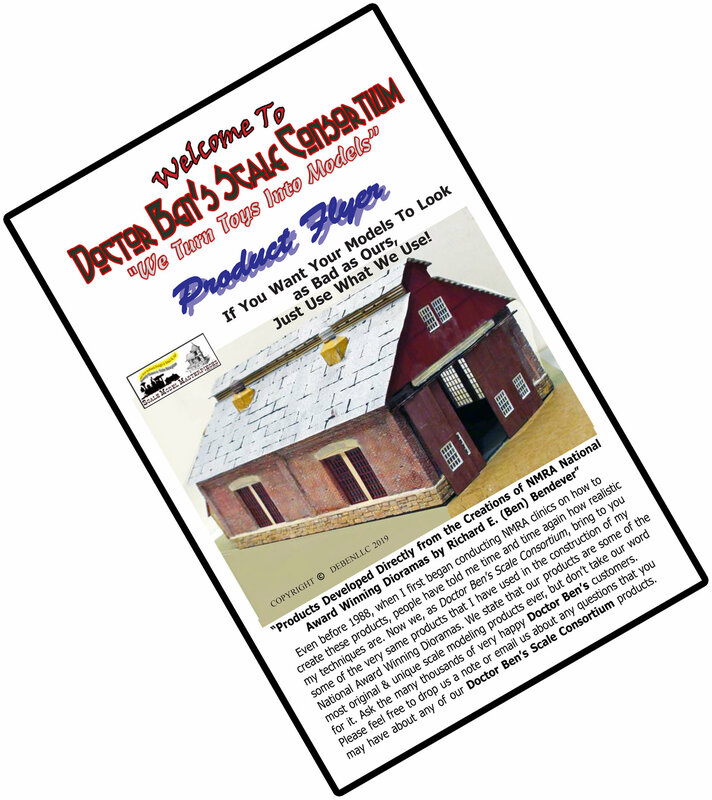 And not to be forgotten is the more informative Doctor Ben’s Scale Consortium 20119 Catalog which has a lot more Doctor Ben's product information than the Flyer. Yes, this one is in the works and just waiting on the Laser cut Bents to mock up the pilot model. Stay tuned! 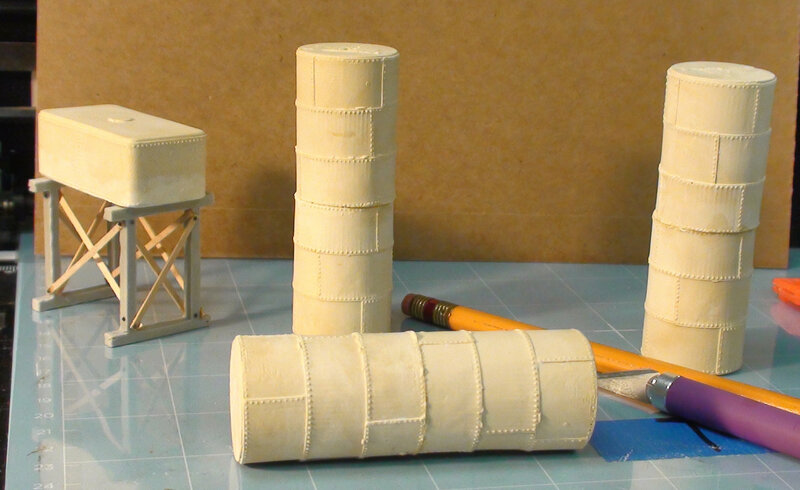 Two Stall Shortline/Industrial Engine House Kit UPDATE! You may have missed this announcement last year. 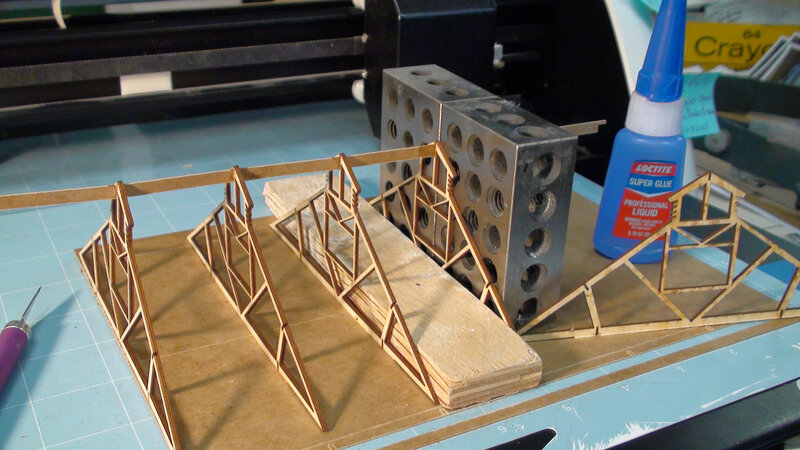 LASER cut trusses for this kit are the standard material replacing the Precision Cut trusses originally offered way back when. 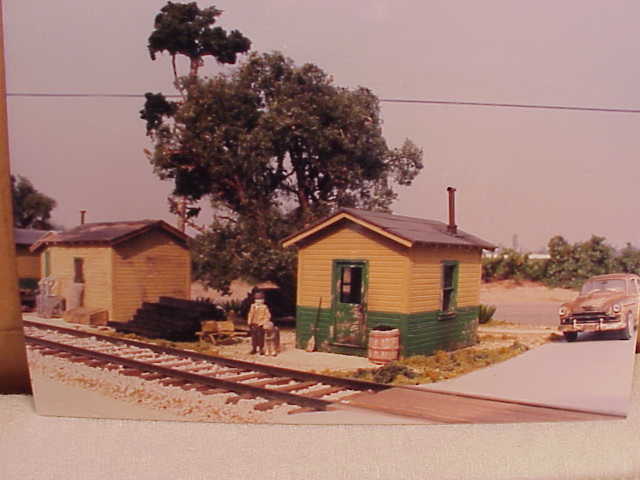 If you had ever built one of the 1980 versions, you may well remember that the trusses for both the HO & O scale kits were scratch built from a drawing. A few weeks ago we received notice that NESL Resellers and Manufacturers would no long receive a Standard Industry Discount to purchase their products. One of the affected products that we offer is this 6" wide random clapboard sheeting for HO, S, & O scales. Unless NESL changes this policy we will no longer carry this product when our remaining inventory is sold. Each sheet is 6"w x 12"L x 1/16''thick. CLICK HERE to access this product. Set consists of 2pcs-1-1/8 inch square x 5/8 inch tall Each High Quality Labstone casting is a stack is constructed of 3/32" x 1/8" x 1-1/8" long simulated ties. 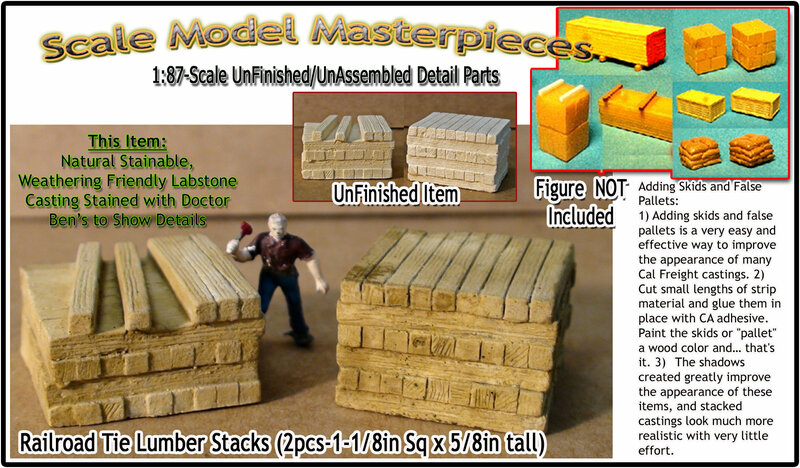 The stacks in this image are simple stained/washed with Doctor Ben's Realistic Oak Weathering Stain (#1081) and then a diluted was of Doctor Ben's Instant Age Weathering Solution (#1152). Yes, it's that simple ... this is weathering & NOT rocket science! 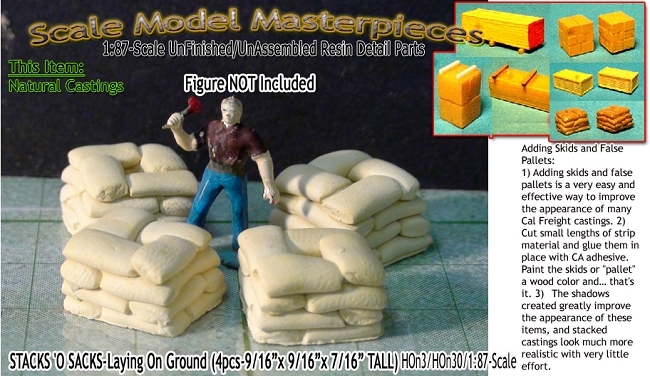 We have the other six kits in this series but this elusive kit has been a little more difficult to find. Please contact us via email, facebook, telephone if you have this kit available to sell, loan or trade! Please share your DEBenLLC purchase experience! Simply submit a www.DEBenLLC.com Website Product Review for for any item(s) on our website. 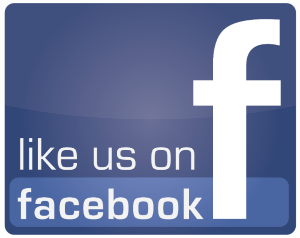 This is a brand new feature on our website so here is a chance for your to be one of many customers to share your DEBenLLC product experiences.
. And be sure to Invite your Friends to Like our facebook Page, too!